On Saturday night, a nun scolded the men and urged the women to be more aggressive in pursuing the rides. She said the church would help arrange five trucks to transport only women with children on the next trek to Niltepec about 33 miles away. Do you think the U.S. government will stop the caravan? 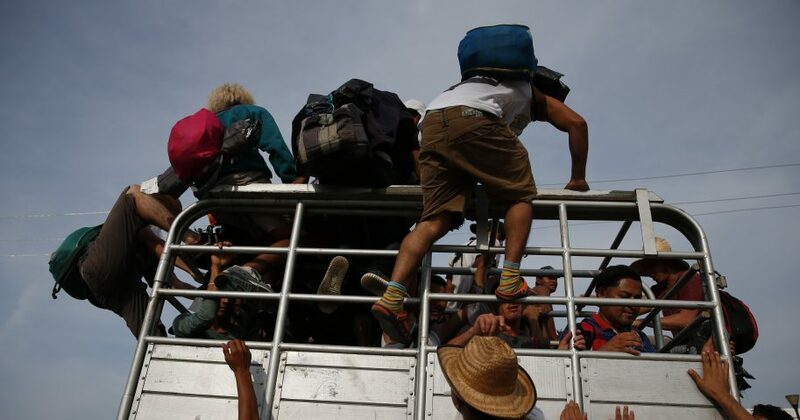 “There are people fainting, there are wounded,” said Rojas, who spoke to The Associated Press after dropping off a group of women and children in Tapanatepec, where the caravan planned to spend the night. Rojas transported the group to their destination after spotting them on a highway trudging through temperatures approaching 104 degrees Fahrenheit. The caravan still must travel 1,000 miles to reach the nearest U.S. border crossing at McAllen, Texas. The trip could be twice as long if the 4,000 or so migrants head for the Tijuana-San Diego frontier, as another caravan did earlier this year. Only about 200 in that group made it to the border.